Good news for those who witnessed Emperor on their excellent "No Mercy" tour shows of early 1999. Good news, similarly, for those who always reckoned that Emperor's studio albums were always produced in too 'flat' a way. 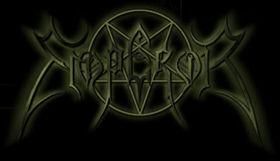 "Emperial Live Ceremony" is a very well-produced live album recorded in April of 1999 in London. The band sound tight and spot-on. The production is grade A, in fact this is a the first time you can hear some of the stuff that is going on in the background, in particular Trym's amazing drumming. So far I never knew he had high hats or even symbals (well, sortof). There isn't much to say about this majestic milestone of a black metal live album. It's got all your favourite Emperor anthems and it sounds like the studio perhaps ought to have. One small negative thing is the multimedia track, which is clumsily places at the beginning of the CD instead of, as usual, at the end. This means you always have to manually skip track 1 when playing this one.